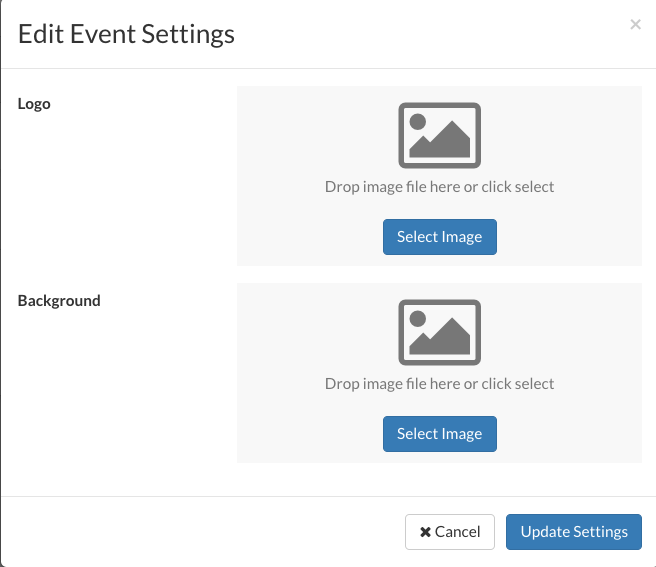 Event Settings: Create an Event Registration banner. Admins who utilize the Zunos Events feature, can now add images and background to create a unique banner in the Event Registration page. As an administrator of Zunos, you may want to add your organization or team's unique logo and background into the Event Registration page. Zunos has added this feature in the Events' area so that this can be accomplished. Next, you'll see the "Edit Event Settings" page which will show you the options to add your team or organization's logo and also, a banner background. After both logo and background banner has been uploaded, click the Update Settings button. To test the banner view as an event attendee, add yourself to the event and send an invite to your email address. Click on the Register button and the Registration page will appear. Here is where you can view your event registration banner page.